Concern that such an event could soon take place has only grown since the U.S. government announcement this past Thursday that the U.S. would provide $6.6 million over the next year to fund the White Helmets, the controversial “humanitarian” group that has been accused of staging “false flag” chemical weapons attacks in the past. Notably, the White Helmets were largely responsible for staging the recent alleged chlorine gas attack in Eastern Ghouta, which led the United States, the United Kingdom and France to attack Syrian government targets. That same attack in Eastern Ghouta had been predicted weeks prior by the Russian military and Syrian government, who are warning once again that a similar event is likely to occur in coming weeks. The statement also noted that fighter squadrons would be working with the strike group to “conduct precision strikes on ISIS targets” as part of the U.S. coalition’s Operation Inherent Resolve, which claims to be aimed at eliminating the presence of ISIS in Syria and Iraq. In addition to the strike group, a report from SouthFront last month provided evidence that the U.S. had recently established a military garrison near the Jafra oil field, the exact location cited by both Syrian and Russian sources as the likely location for the future staging of a chemical weapons attack. Indeed, since the U.S. and its proxy force, the Syrian Democratic Forces (SDF), took control of northeastern Syria – nearly a third of the entire country – last November, neither group has done anything to target the ISIS pockets in the area until the recent June 4 announcement by Mattis that the U.S. and the SDF had “re-commenced” their offensive after a lengthy hiatus. The U.S. has yet to offer an explanation for the hiatus and reports have not yet surfaced regarding the specific actions of the new offensive to target ISIS. More recently, the U.S. again threatened the Syrian government over the latter’s planned offensive aimed at removing militant groups from the Dara’a governorate in the south of Syria. 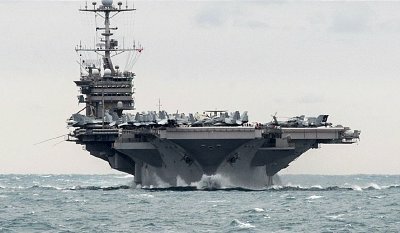 On Friday, the U.S. State Department announced that the U.S. would issue a “decisive response” if the offensive goes forward as planned. 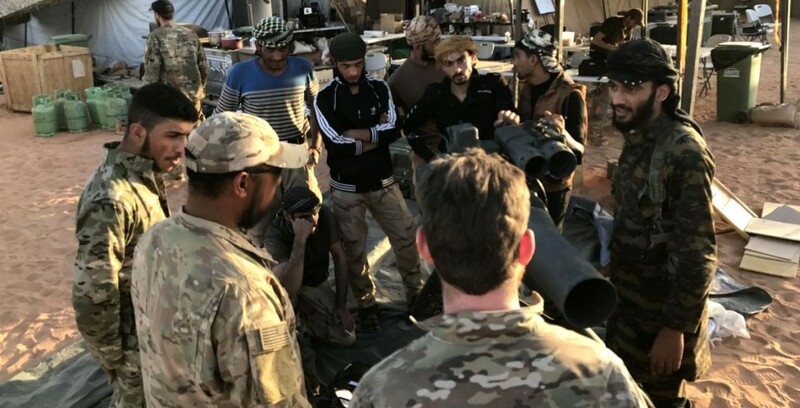 Given that the militants in the Dara’a governorate are either ISIS, Al Qaeda or their affiliates, the U.S. threat against a Syrian military offensive targeting these groups has been largely interpreted as a U.S. move actually aimed at protecting ISIS and Al Qaeda.